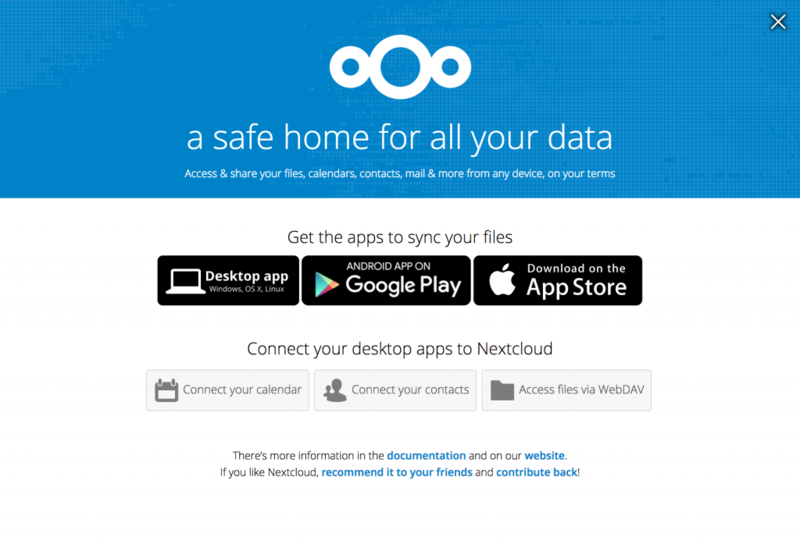 Nextcloud — the spiritual successor to ownCloud — is open source software that puts data back in your control. It offers Dropbox-style file hosting functionality, as well as a host of other features like calendar synchronization, messaging and video chat. In about 5 minutes you’ll have a Nextcloud website running with Docker, Let’s Encrypt SSL certificates (via Traefik), phpMyAdmin and automatic updates. If you’re a developer or sysadmin and just looking for the nitty gritty, skip down to the Technical details section. Have a cup of tea! Your Nextcloud site will be ready in about 5 minutes. In your browser, navigate to the hostname of your server (eg, http://name.of.server.uk0.bigv.io). If you see a Bad Gateway message, wait a few seconds for the database to initialize and then refresh your page. Nextcloud’s setup wizard will ask you to create an administrative user and password. If you’re using your own domain, it’s easier to do that first before going through the setup wizard. And now you’re pretty much done! 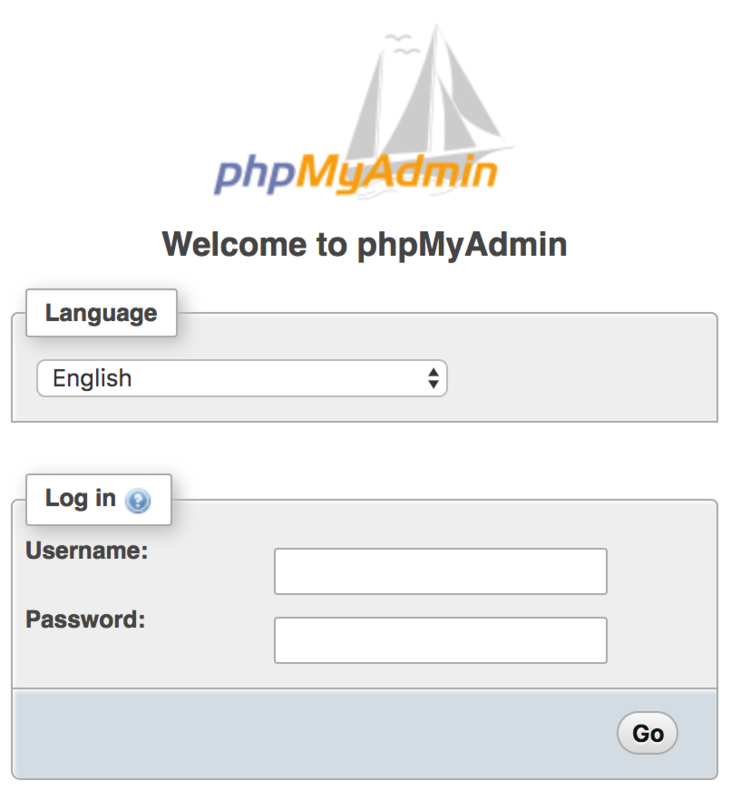 Read on if you want to Use your own domain, Enable SSL/TLS or Access phpMyAdmin. If you’ve already gone through Nextcloud’s setup wizard, first you need to tell Nextcloud to trust the new domain. If the old domain is old_domain.com and the new domain is new_domain.com, browse to http://old_domain.com/settings/admin?trustDomain=new_domain.com (and repeat for any further domains). Configure your own domain as per the previous step. All domains you list in NEXTCLOUD_DOMAINS must point to your server (via DNS records) for this to work. Watchtower automatically updates your containers to the latest images, such as your Nextcloud version. This keeps your website secure. Our bytemark/smtp image allows your Nextcloud server to send outgoing emails if needed (eg, password resets).